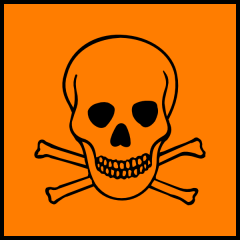 An information resource for serving & former members of the Irish Army Air Corps suffering illness due to unprotected toxic chemical exposure in the workplace. Either the rate of death is accelerating or we are missing many deaths from previous decades or possibly both. *We record untimely as dying at or before age 66 (civilian pension age), average age of death is 50 years. We are counting deaths from medical reasons & suicide, we are not counting accidental deaths or murder. *We record untimely as dying at or before age 66 (civilian pension age), average age of death is 49 years. We are counting deaths from medical reasons & suicide, we are not counting accidental deaths or murder. If the Irish Army Air Corps was compliant with state Health & Safety legislation with regards to chemical safety then why did great progress need to be made in the first place? 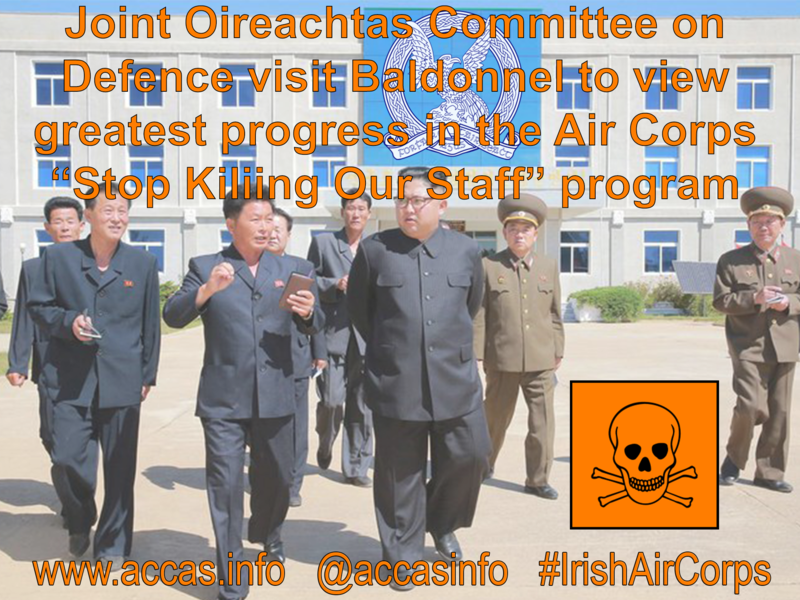 Dearest leader to bring Joint Committee on Foreign Affairs and Trade, and Defence to visit Baldonnel to view greatest progress in the Air Corps “Stop Killing Our Staff” program. 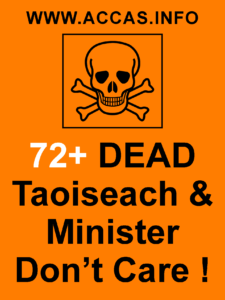 A NEW PROTECTED disclosure has been sent to Defence Minister Paul Kehoe detailing a number of “verified deaths” of those allegedly affected by the Air Corps chemical scandal. 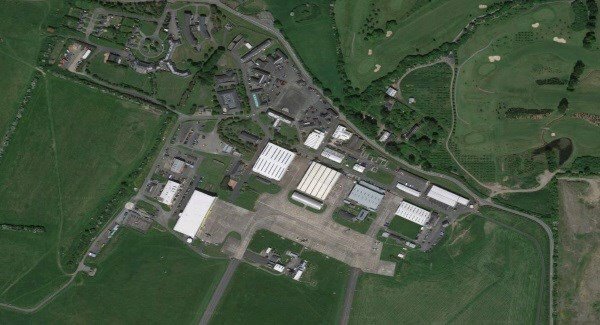 It’s the contention of a number of Air Corps members, who have since retired, that the effects of the chemicals they handled as part of their work contributed to dozens of workers at the Baldonnel Airfield becoming ill. In a protected disclosure made by one of the workers last year, it has also been alleged that the partners of male members of the force suffered serious fertility issues and a number of miscarriages. Other children, according to the previous protected disclosure, are living with life-changing illnesses and, in some cases, have died. But a new disclosure, submitted last week, claims that the number of untimely deaths from the scandal has “grown exponentially”.